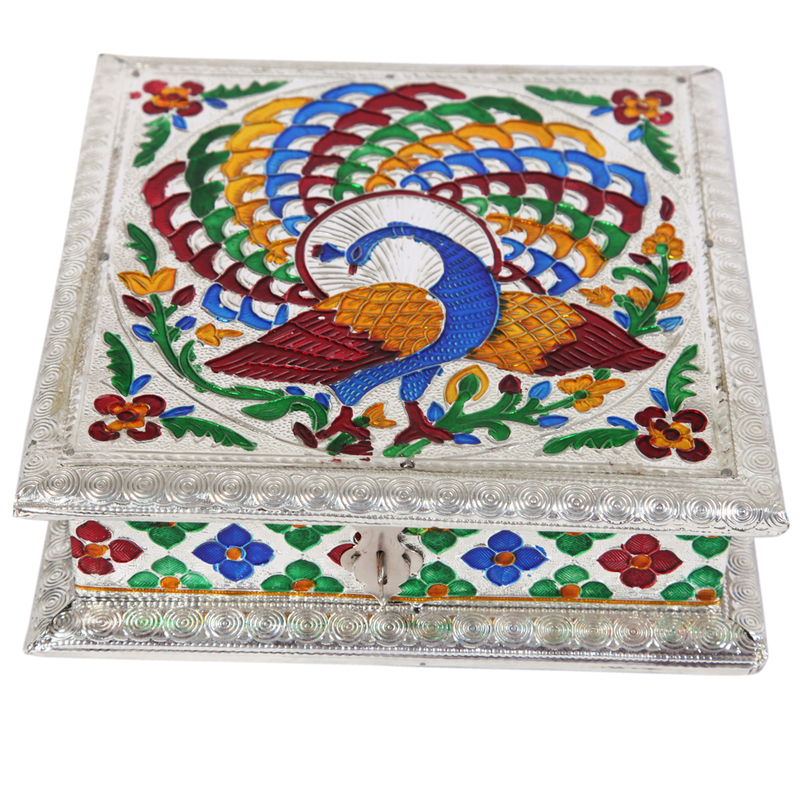 This wooden dry fruit box is made of wood and is oxidized which make it more beautiful and interesting. The silver color adds the touch Read More..of royalty to the box. Blue, yellow, orange, red colors help the meenakari work shine on both the surface and also on all its sides. The peacock on the upper surface is beautifully depicted with its wings spread on both sides and its face turning in a different direction. Show Less..